Whether you love or dread the holiday, you have to admit that Valentine’s Day is the perfect time to share a little love with your significant other, best friends, or family with a heartfelt note on a homemade card. 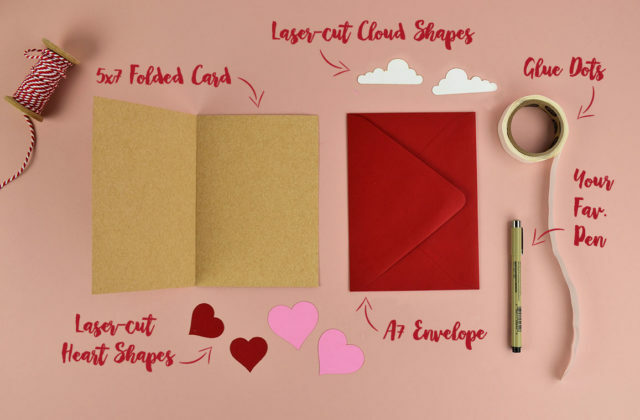 These three DIY Valentine’s Day cards are easy and affordable to make, simple, and super sweet. 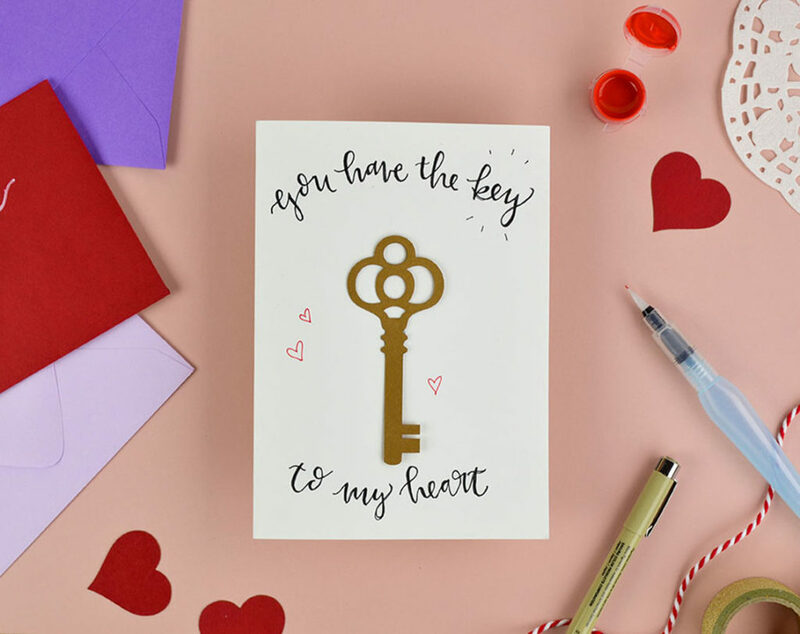 A handmade card is the “key” [ 😉 ] to winning at Valentine’s Day, and your other half will treasure this one, boasting a vintage laser-cut skeleton key and sweet handwritten message. 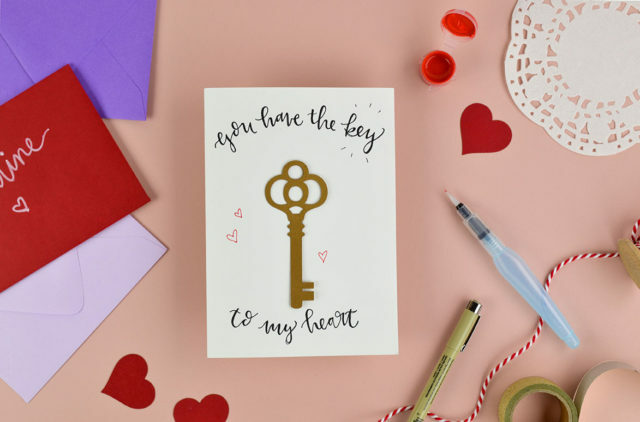 We have 17 different laser-cut key shapes to choose from in over 80 colors, so you can really customize it to fit the taste of your recipient. This simple card is perfect for your sweetheart or gal pal. 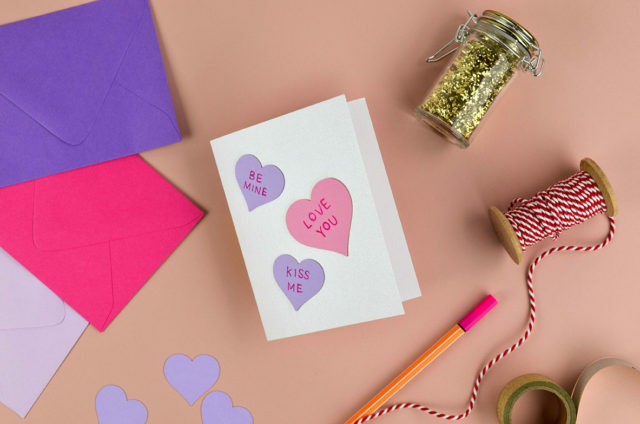 The best part is that you get to pick what the candy hearts say, so you can make them as sweet or sassy as you want. 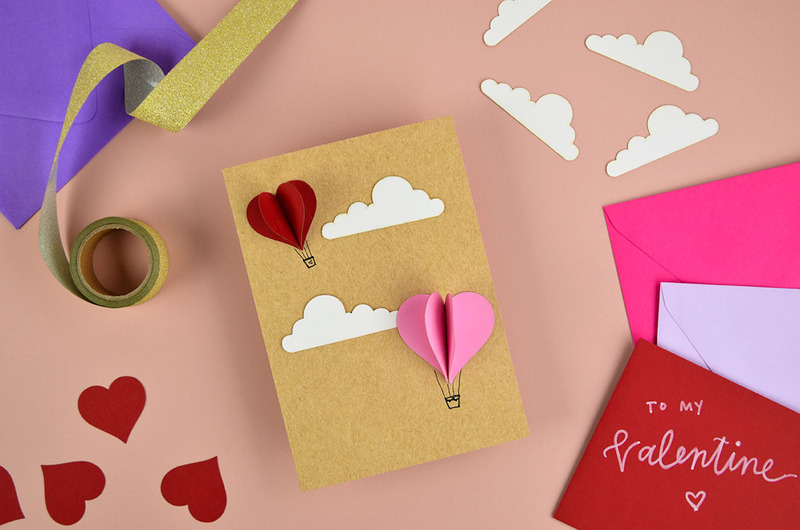 Your valentine’s got your head in the clouds – let them know how you feel with this adorable hot air balloon card. 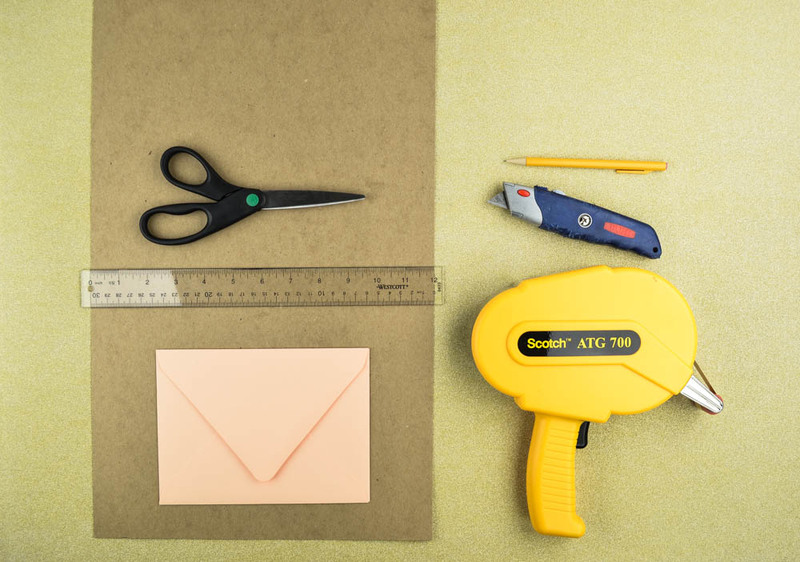 Start by gluing/taping down the cloud shapes. 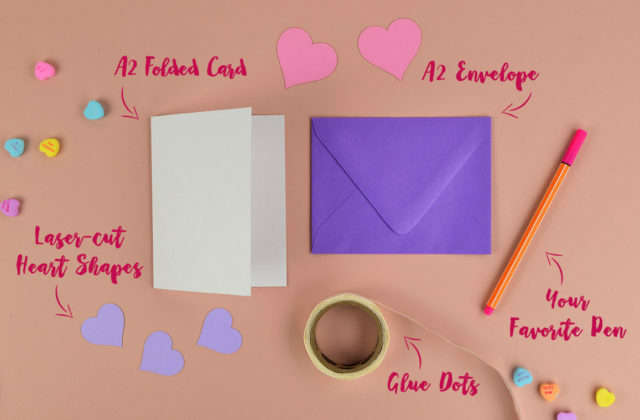 Then fold the two heart shapes in half (it’s easier if you score it before folding), and glue/tape down one half of each so that they’re touching on the fold. Draw in your hot air balloon baskets, and you’re done! 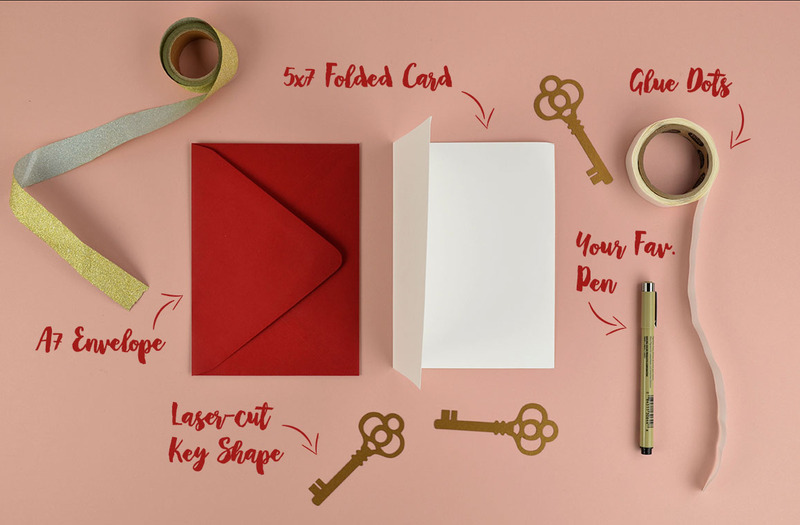 A little effort will go a long way in the eyes of your valentine. Cute designs + easy DIY + affordable = every reason to make your own Valentine’s Day cards this year! Get creative and share a little handmade love. 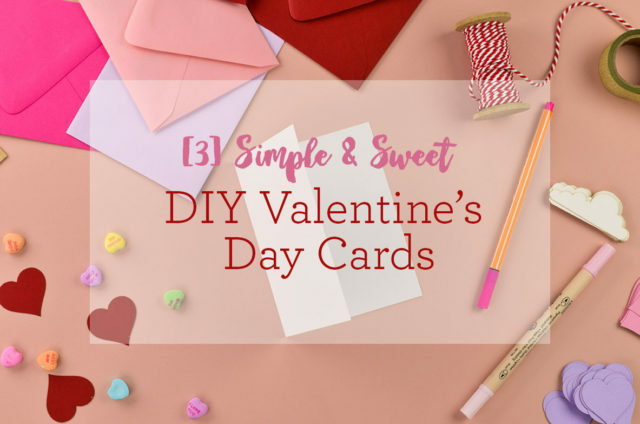 Happy DIY-ing and Happy Valentine’s Day!